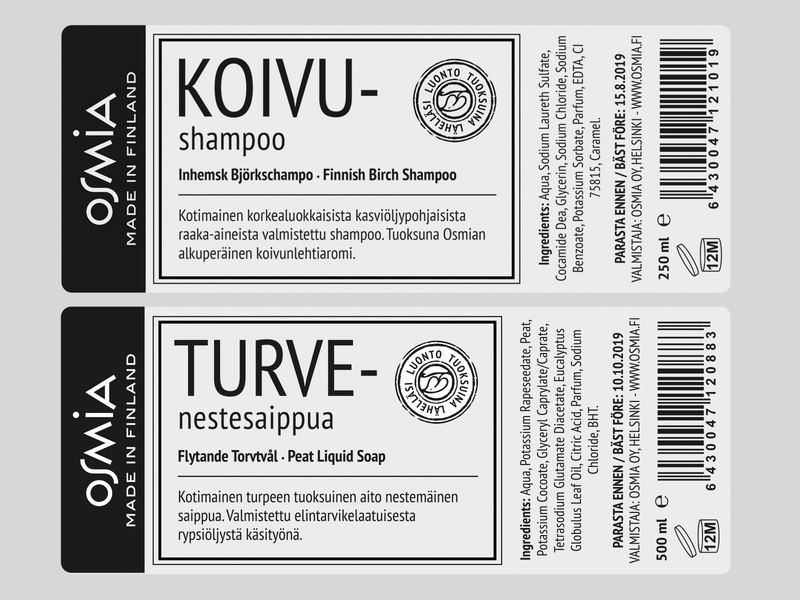 Osmia's liquid soaps and shampoos are handmade in Finland from high quality ingredients and local scents, such as birch, peat and lingonberry. 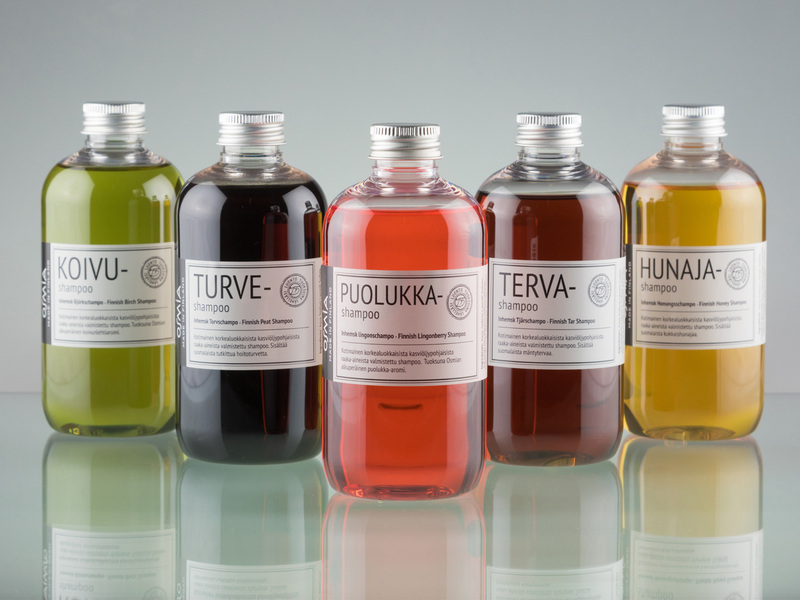 The label design reflects qualities that are characteristic to Finnish aesthetics: clean, utilitarian and straightforward. 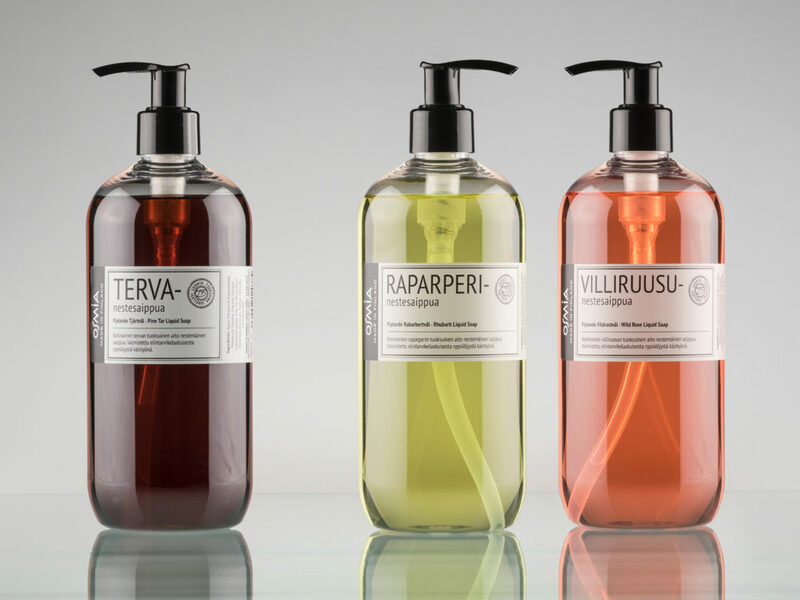 The black and white color palette doesn't steal attention from the colorful products.